Material: wood. Height: 59 cm. 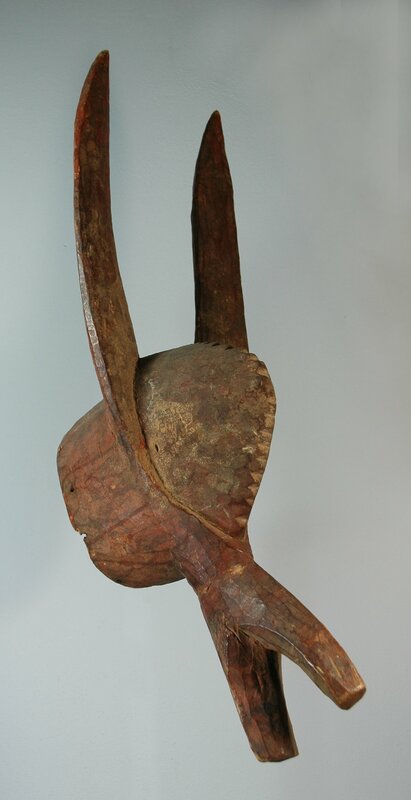 Material: hout Height: 46 cm Country: Mali, region Segou This is a mask of the Ntomo society. 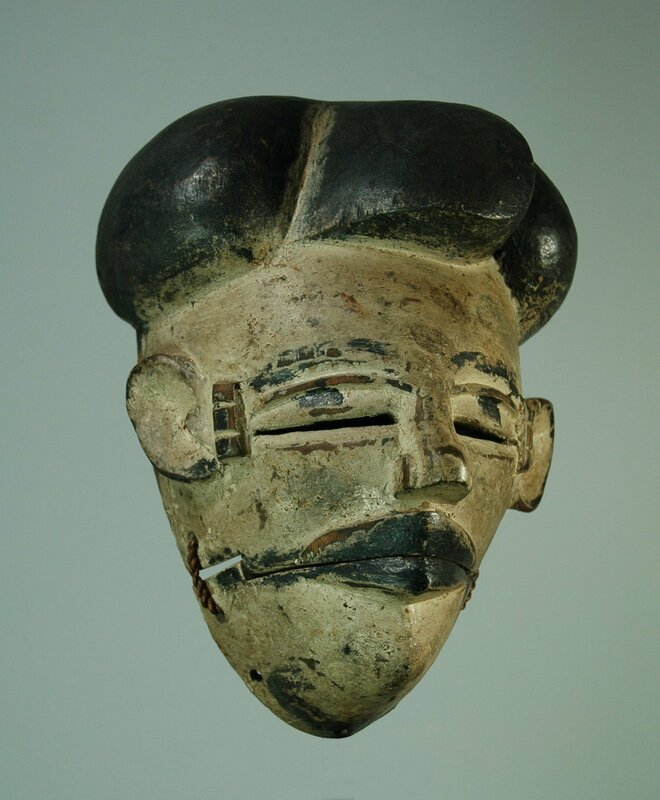 The Bamana Ntomo masks were worn by boys as they passed through the early cycle of initiation into manhood. This type has a ridged nose, a protruding mouth, a superstructure of vertical horns, in the middle of which or in the front of which is a standing figure an animal. 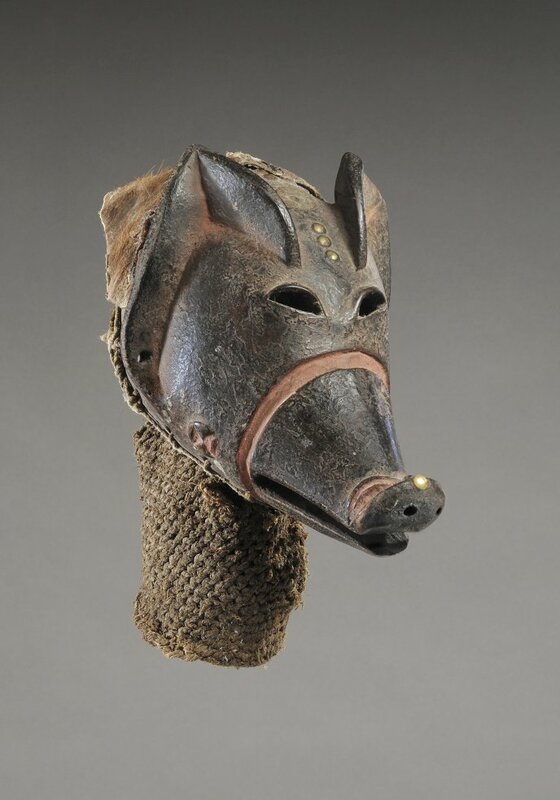 This mask shows the antilope. 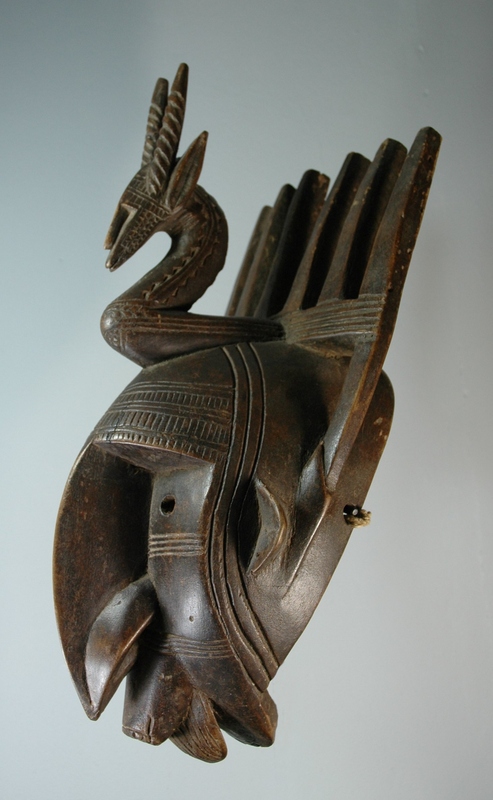 This male roan antilope, ci-wara, symbolizes fertility and agriculture. Under ci-wara's guidance, humans first learned to cultivate the land.It finds water and has learned people how to develope agriculture. 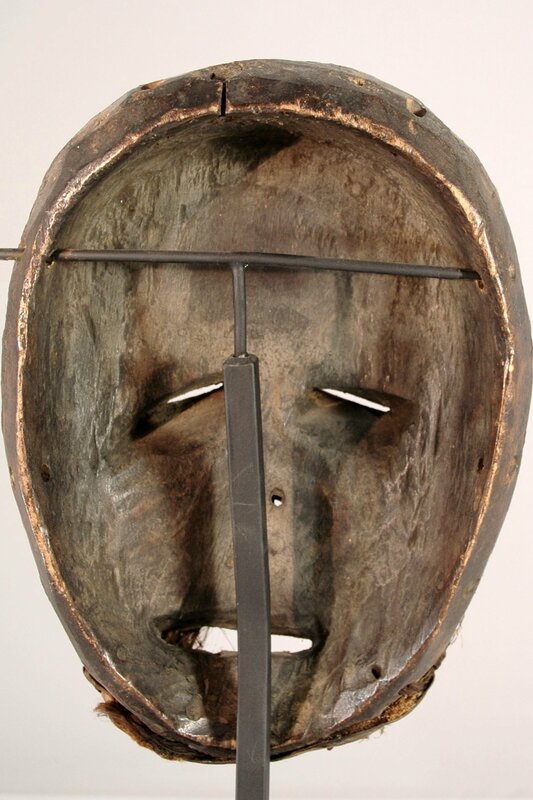 Material: wood Height: 19 cm Dates early 20th century The elu masks are small and equipped with a movable lower jaw. 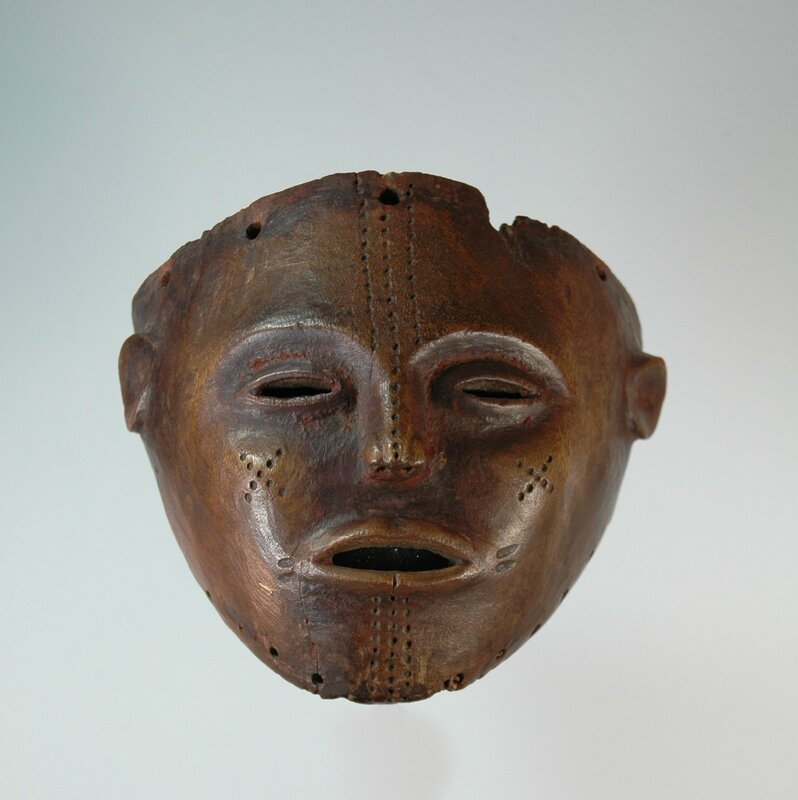 Elu masks, such as this one, are danced by young members of secret men’s societies that have social, religious, or governmental functions. The small masks are attached to cone-shaped caps of fiber and cloth that cover the heads of the dancers. They are usually danced at annual festivals or at funerals of members of the societies. Elu is an older, and more delicate, form of Ogoni masquerade than the newer genre. Material: wood, fiber, fur Height 23 cm Aardvarks are symbolically significant for their digging for ants and termites takes them underground where ancestors dwell. 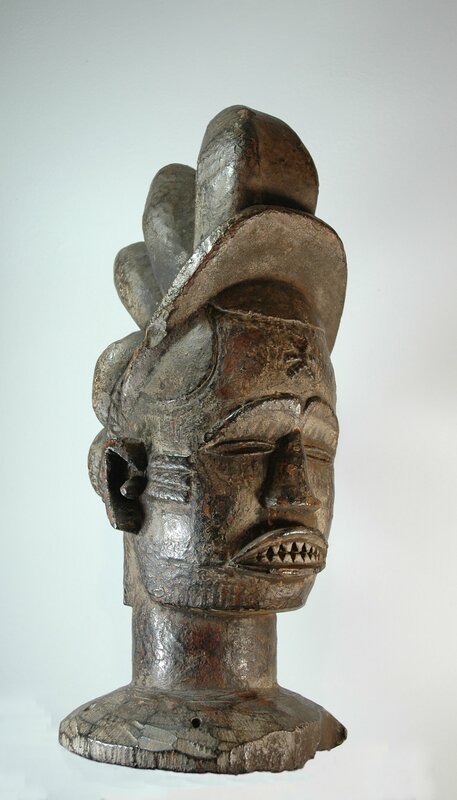 The style of this mask is characteristic for the Saurino region in Angola. 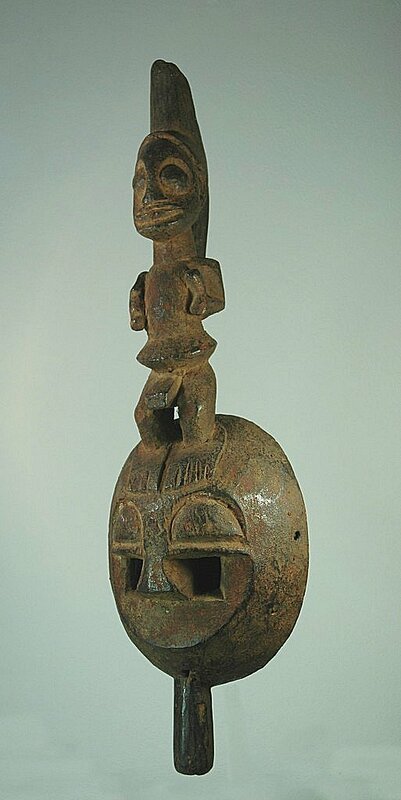 Material: wood Heigth: 54 cm Country: Nigeria This antilope mask, like the buffalo mask, performs during Kambon rites or by Uduwaru society. This society is responsible for the sacrifices and funeral rites. 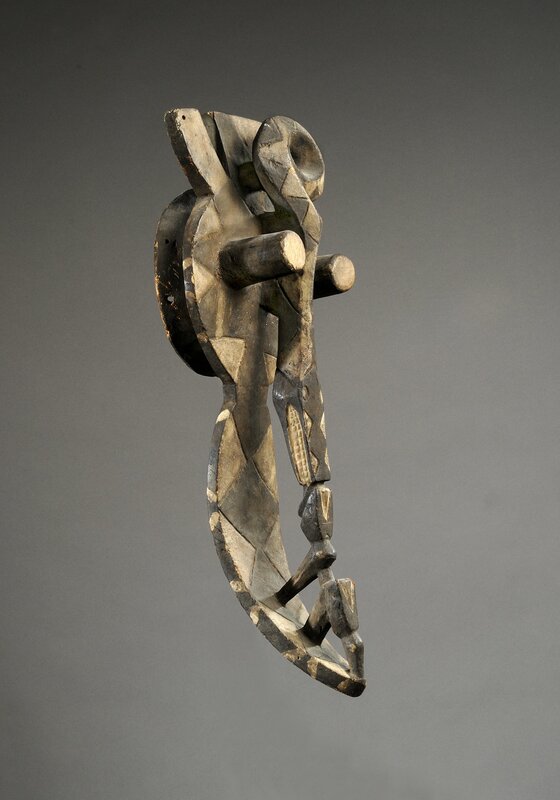 Material: wood Height: 49,5 cm Oloju-foforo means 'the owner of deep-set eyes'. 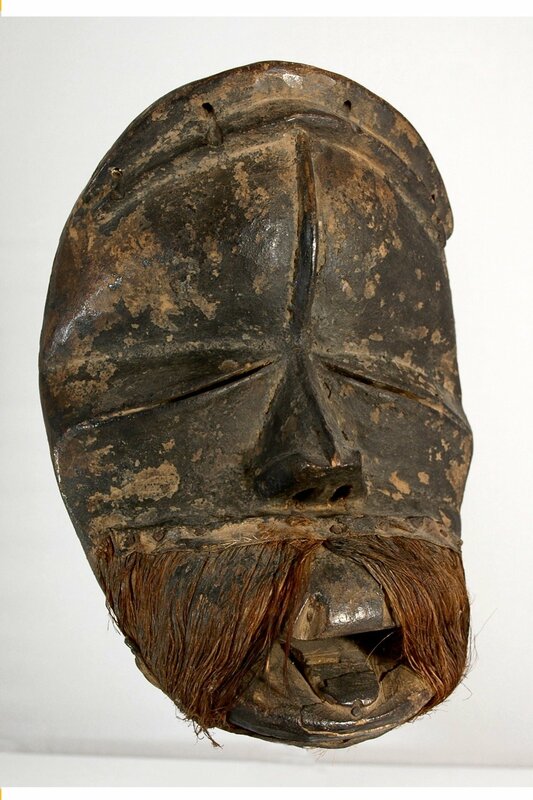 The mask is used in Osi Ilorin, where it performs in honour of the ancestor god Baba Osi ('father of Osi').In surrounding villages the mask is considered to be an Epa mask. The kneeling man is the priest Eshu.